The Junior Traffic Ambassador scheme was started by Transport for London as part of the Mayor’s Transport Strategy for London, to help to reduce the number of children hurt on our roads. The school has JTA’s from Year 4 & 5, assisted by a Governor and a staff member who are their JTA Guides. The children applied for the job in the Autumn Term and had to go through an interview conducted by the existing JTAs and their guides. The successful applicants received an Information Pack and a uniform consisting of a high visibility Jacket, a cap and a Lanyard to wear around their necks. Their role is to spread the road safety message among the children and parents of the school and to improve the traffic situation around the school. To do this they use a variety of strategies. The JTAs give talks in assemblies to the whole school and in the classrooms. These assemblies have been about teaching road safety, traffic awareness and parking issues. Competitions and other initiatives are introduced during these assemblies. As well as in assemblies, the JTAs will often talk to pupils and parents at other times, perhaps when they are asked questions or when they see an incident that they feel needs to be tackled immediately. The JTAs have put up many posters around the school premises, some of these came in the Information Pack but they are now designing their own. 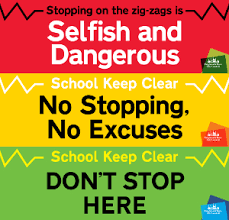 These are to remind the pupils of road safety issues. Several competitions have been run over the year. These help to keep everyone involved and keep road safety at the forefront of people’s thinking. Prizes are awarded as an incentive to participate. The JTAs decided to tackle the problem of illegal and dangerous parking by patrolling outside the gates, explaining the dangers to drivers, and handing out pretend Parking Tickets. With regular patrols the numbers of illegal and inconsiderate parkers has been cut dramatically! The JRSOs cannot be there everyday, of course, and they realise that things revert when they are not present. However, the Headteacher helps by sending letters and texts to remind the parents to park considerately. Being a JTA is hard work – early morning patrols, lunchtime meetings and the potentially embarrassing job of talking to pupils and parents who break rules or act dangerously. In general they have received nothing but praise for the work they do and the school and its Governors are very proud of them. The JTAs have an annual outing to the London Transport Museum to thank them for all their hard work and dedication. Recently they also took a trip on the new Emirates Airline cable car across the Thames.